Sony QX "Lens-Style" Cameras - What Do You Think? Thread: Sony QX "Lens-Style" Cameras - What Do You Think? So what do you think? I've been loving my Eye-Fi card and now cameras with built-in Wi-Fi, for sharing to FB and Instagram while I'm out and about. Since the QX cameras use the phone to control the camera, they take the built-in Wi-Fi a step further. I'm hoping to get one for review soon and I'd love to know what the community thinks. 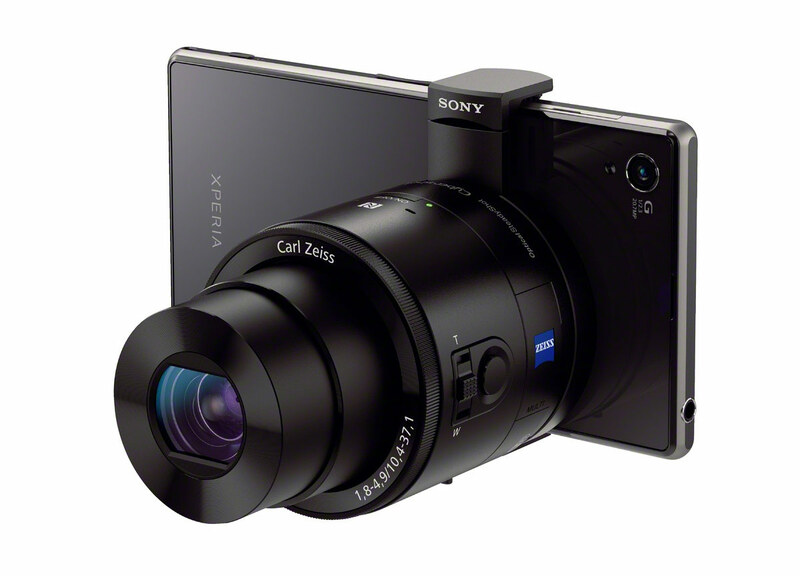 Re: Sony QX "Lens-Style" Cameras - What Do You Think? Shock. Amazement. They just can't DO that to us. But then - brilliant, in a way. Times have changed. My smartphone is by far my most useful possession. I no longer carry it around on me (too vulnerable to theft). I have it in a day bag which I have near me most of the time. Also in my day bag is - my Sony RX100, just in case I need to do a "real" photo. So in a way this thing is a more compact version of what I already have. I wonder how long it takes to set up? How robust is the connection to a (non-Sony) smartphone? I'l check it out when I can. The only real downside, in my opinion, is that you can't shoot RAW. But they could easily add that in the next version. I expect that depends on how many they sell and how many people ask for RAW capability. Of course, the RAW files would only be saved to the camera, and not the phone. That's probably one of the reasons they left RAW out - most people will only use it with their phone and probably never even put a memory card in the camera. I expect the Wi-Fi connectivity to work pretty well. I bought the Sony HX50V pocket superzoom with Wi-Fi and it's really easy to connect and use with my Samsung Galaxy S3. The app is the same, although with a new update. So it should work just as well. No RAW? Forget it. Cameras are getting better at getting JPG's right but I still adjust pretty much all of my images to give them the look that I prefer. And I usually use the RX100 in conditions that are not optimum - at night, at parties, through windows, in bright sunlight - anything to get the image then sort it out later in the lab. BTW I think the connection to the smartphone is Bluetooth and not WiFi. By radio, anyway. I use Bluetooth to connect keyboards and mice to some of my PC's and tablets. On some (all Microsoft) I turn it on and it remembers the connection but on others I have to go through a discovery procedure.